ALEXANDRIA, Va. The NCUA's newest board member votes in favor of technical amendments to existing rules and a FOM expansion. 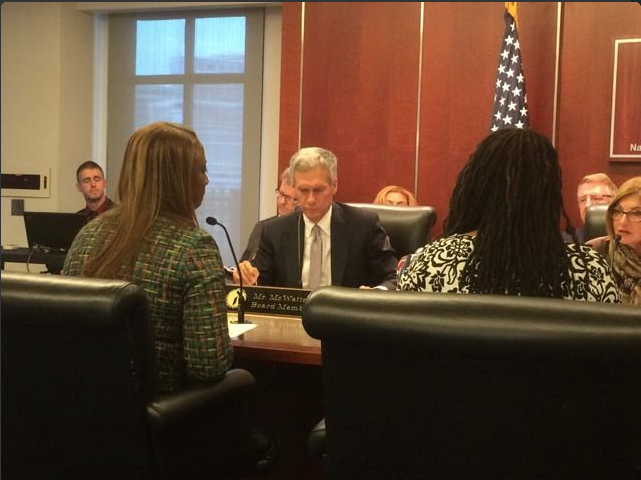 NCUA Board Member Mark McWatters participates in his first monthly board meeting. ALEXANDRIA, Va. –­ The NCUA Board finalized technical amendments Thursday at Mark McWatters’ first meeting, and approved a federal credit union’s request to expand its community charter.